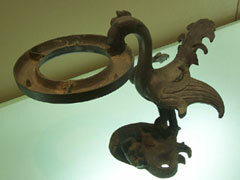 Chinese Bronze Vessels The Chinese started casting bronze ware about 5,000 years ago. 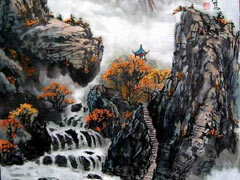 Chinese Brush Painting Chinese brush painting has developed over a period of more than 6000 years, since its start in about 4000 B.C. 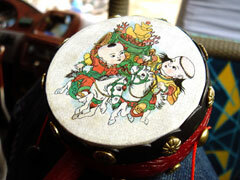 Chinese Cloisonne Cloisonné is well-known traditional enamelware with a history that dates back more than 500 years. 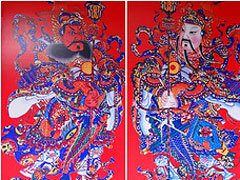 Chinese Embroidery Embroidery is an old, well-established art form in China for both men and women. China Folk Toys These toys represent fundamental ideas, desires, and concerns central to the lives of Chinese people and to Chinese culture. Chinese Ink and Inkstone The Chinese brush, ink and inkstone used for writing characters and calligraphy and for painting are deeply significant in Chinese culture. 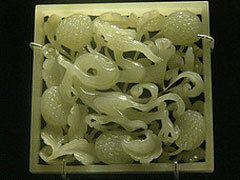 China Jade Carvings Chinese began to know and use jade in the early Neolithic Age according to archeologists and archeological findings. 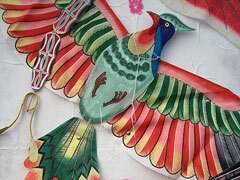 Chinese Kite Kite was originally called Zhiyuan in north China, and Yaozi in south China. 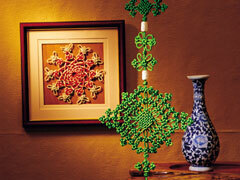 Chinese Knots Knot craft is one of China's ancient folk arts. 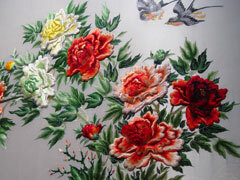 Using colorful silk threads, they are beautiful plaited ornaments. 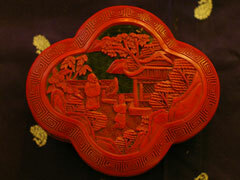 Chinese Lacquer Ware Chinese lacquer ware has a long history. 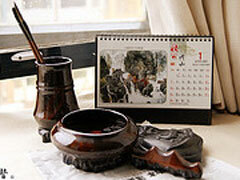 The oldest lacquer ware discovered may date back to the Warring State Period (403--221 BC). 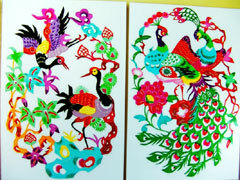 Chinese Paper-Cut Papercut is one of China's most popular and distinct folk arts, dating back to the 6th century. It is created using paper and scissors or an engraving knife. 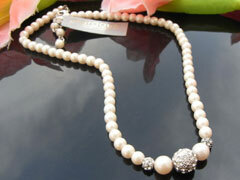 Chinese Pearl The least expensive cultured pearls today are not too different in appearance from the most expensive natural pearls in the world. Chinese Peasant Art Chinese peasant paintings reflect the style and scenes of the peasants' lives in the vast countryside. 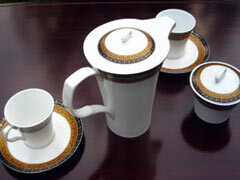 Porcelain China is famous for its porcelain wares, also known as china. 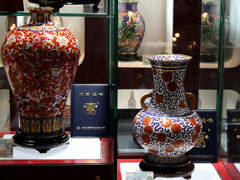 Chinese porcelain was and is exported to many nations and can be very valuable. 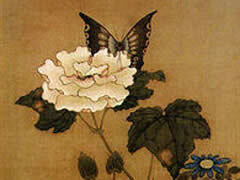 Chinese Scroll Painting The art of Chinese scroll painting dates back at least 4,000 years. 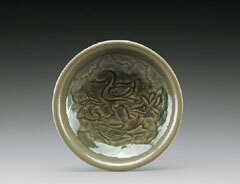 This art form is considered by many people as the aesthetic high point of Chinese culture.